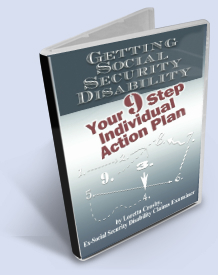 Filing your Social Security disability or Supplemental Security Income claim is a simple and brief process. Social Security disability programs are available to individuals who have long term, serious medical problems that prevent them from working. Social Security does not offer any short term disability benefits, nor is there such thing as a partial disability benefit. To qualify your disability must be significant and be expected to last 12 consecutive months. There is not cost or obligation involved in filing a claim for benefits. You can begin the process by calling 800-772-1213, SSA's toll free number. After navigating several layers of automated attendant prompts, you will find yourself speaking with a live operator who will take your claim. When you speak to the operator, make sure to tell her that you wish to claim both Title 2 disability and Title 16 SSI benefits. You want to get a protective filing date for both claims even if it later turns out that you do not qualify for one of them. You can also file for SSDI or SSI by visiting your local Social Security office. A third alternative is to start your disability claim on-line at the official Social Security web site. Social Security’s on-line filing system does not always work well. The on-line system prompts you to fill out page after page of information. If you do not happen to have all of this information handy, you have the option of saving your place and logging back in later. Because Social Security’s on-line system permits you to review only one page of the on-line form at a time, there is no way to know what is coming and no way to know what type of medical records or other necessary information. In my view, this absence of a complete form to review prior to actually filing is a drawback to the on-line application system. Because Social Security does such a poor job presenting its forms and explaining how to fill them out, I wrote a book for claimants that explains how to fill out the forms correctly. My book is called the Disability Answer Guide and is available on the Internet. My overall observation about Social Security’s forms, especially the forms you fill out to start your claim, is that SSA will ask you the same question three or four times. This may be because SSA personnel keep adding questions to the forms, but no one seems willing to delete any redundant questions. You will need to have handy as much information as possible about the doctors, hospitals, diagnostic clinics and other health care providers who have seen you. You will need the name, current address, phone and fax for these medical providers. You will also need a list of every job you have held over the past 15 to 20 years, the name and address of your employer, the dates of employment and a brief description of your work tasks. Do not worry if you do not have all of this employment information at hand - it is ok to estimate. Your official Social Security file has the name and address of all of your employers and you can update the job list later. The Social Security representative may not accept your claim if you are still working. If you are working in a “special circumstances” work environment, make sure to advise the rep so that she will take your claim. Finally, I advise my clients to file their claim as soon as possible after they stop working. SSDI claims are payable only if you have enough credit hours shown in the SSA system. Once you stop working, you will stop earning credit hours. Normally, you remain insured for SSDI benefits for three or four years after you stop working, but I have seen some cases where SSDI insured status runs out more quickly. Everything else being equal, file your disability application as soon as you realize that you will be out of work for an extended period of time.